MHI Vestas Offshore Wind has started recruiting skilled workers for over 200 full time jobs at the blade production facility on the Isle of Wight, UK. The new positions are at the serial production facility for the 80 m long composite blades of MHI Vestas’ offshore wind turbine V164-8.0 MW, which is scheduled to start in May 2015. The 80 m blades for the prototype of the V164.8.0MW had already been designed, manufactured and tested at the facility on the Isle of Wight, which is why serial production will be started there as well. The new jobs have been created to fulfill the demand for Dong Energy’s Burbo Bank Extension project, for which 258 MW worth of wind turbines are needed. Additionally the new production capacity will also benefit potential future offshore projects. CEO Jens Tommerup said the creation of over 200 skilled jobs underlined MHI Vestas’s commitment to the UK offshore market and added: “These new jobs are skilled and form a critical aspect of our manufacturing capability. 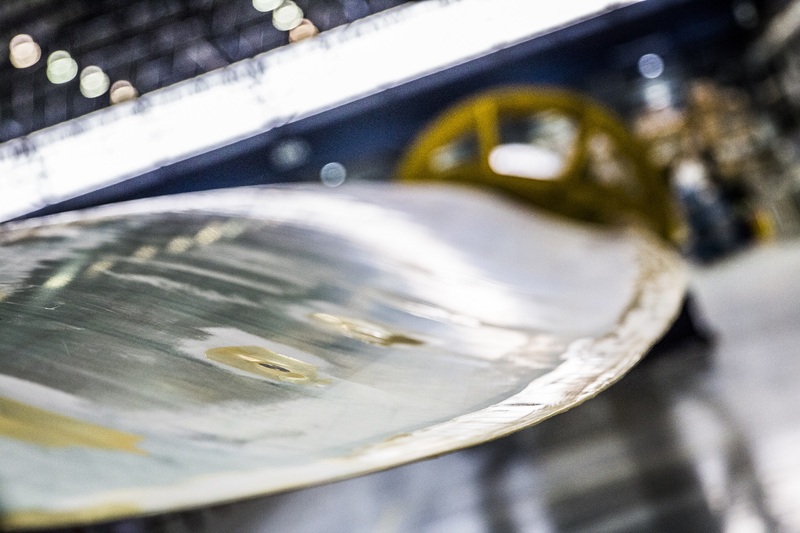 When serial production begins in May, MHI Vestas Offshore Wind will be the only manufacturer producing blades for offshore wind projects in the UK.” – But only until the Siemens plant in Hull is ready. For the upcoming serial production of the V164-8.0 MW blades MHI Vestas Offshore Wind will lease the 170 m long and 50 m wide production hall of Vestas’ blades technology centre on the Isle of Wight. When serial production starts in May, this will have no effect on the employees working in the research and development department at the blades technology centre on the verification of the V164-8.0 MW. The start of the serial production on the Isle of Wight had already been announced in November 2014. The blade production is part of an industrial strategy in the UK, which is expected to result in up to £ 200 million of investment and safeguarding or the creation of up to 800 new jobs. With support of the Isle of Wight Council, MHI Vestas Offshore Wind will run an awareness week starting 9th of February 2015. EOLOS has been successful in a number of new geographical markets as part of a targeted campaign in 2018 to extend our market coverage. "Our project experience in Western Europe combined with our industry recognised validation by The Carbon Trust has complemented our plans to expand in to both US and Asia” commented Julian Harland, Sales Director at EOLOS. The innovative 28 MW offshore wind power project located in the waters of North-western Denmark is fully operational, producing power for customers Nissum Bredning Vindmøllelaug and Jysk Energi since early 2018.